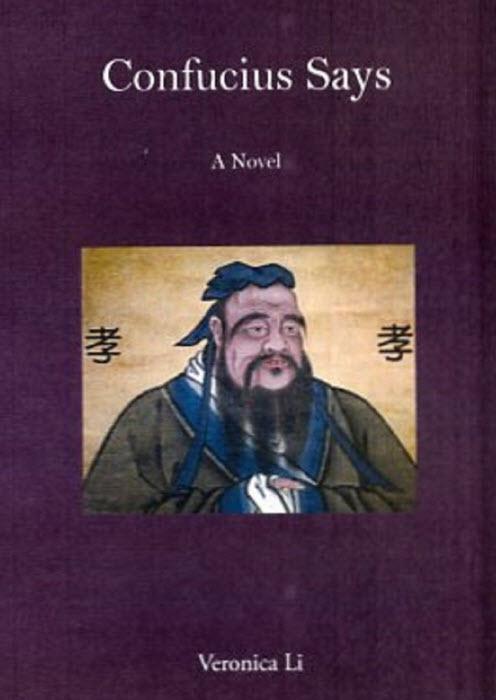 “Confucius Says” is an engaging novel about Cary, a Chinese American woman who takes in her aging parents largely because of the ancient cultural values and traditions expressed by Confucius, about filial piety and respect for elders. She has siblings who live far from northern Virginia where she lives, so she becomes the primary caregiver as the novel follows her parents’ slow deterioration and her Caucasian husband’s (and dog’s) struggle to accept this role she has taken on. Asian Americans will recognize much of their own lives and family dynamics in this serious but often quite funny, and always thought-provoking story. Veronica Li, the author, recognizes herself, and her parents, who moved in with her. 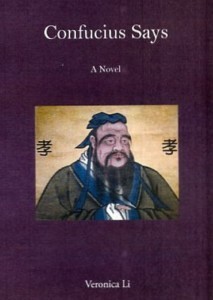 In fact, the first draft of the book was written as a memoir. She finally realized she could free herself from her personal perspective and have the freedom to tell the same story within a larger, more expressive narrative. So she fictionalized the characters and changed situations to suit the overall wisdom she was trying to share about her experiences.